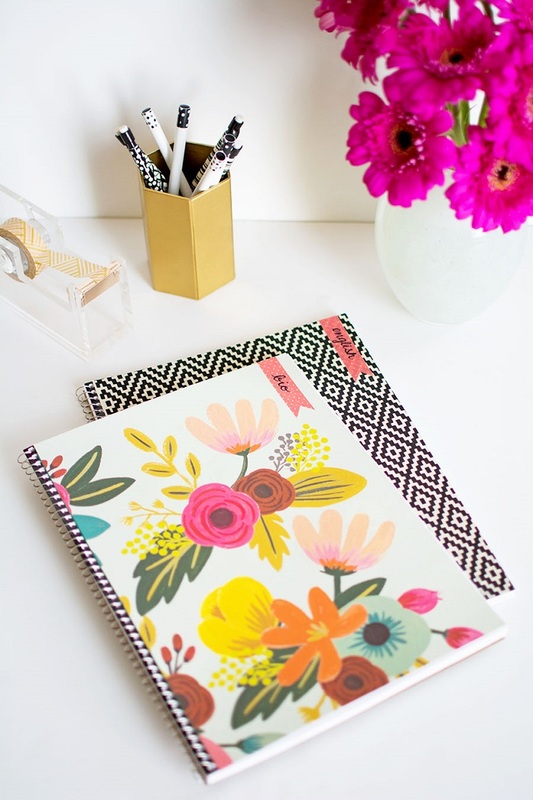 New school year, new notebooks! 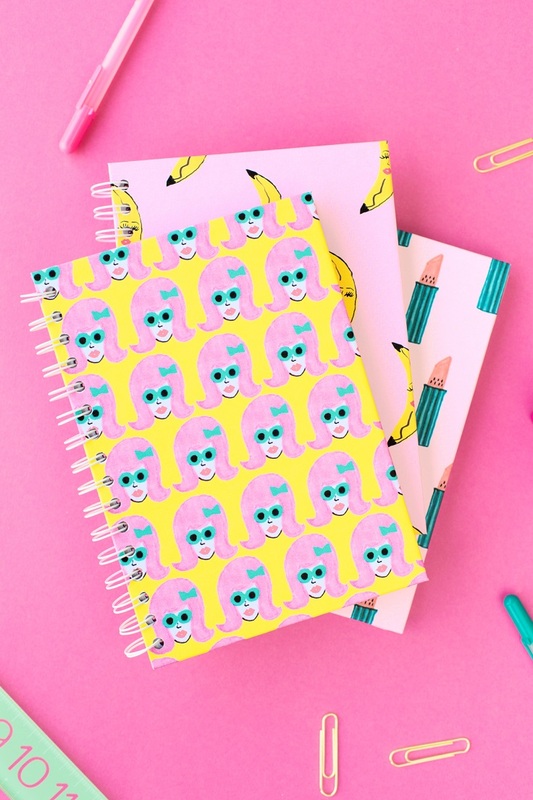 It’s that time of the year when we spend on back – to – school notebooks, pens, pencil cases… well, the list can go on! Let’s start with the first one: the notebooks. It may sound as nothing special, you just pick one and buy it, but when you have your children telling their wishes and expectations, you know you will have to put more effort into it! 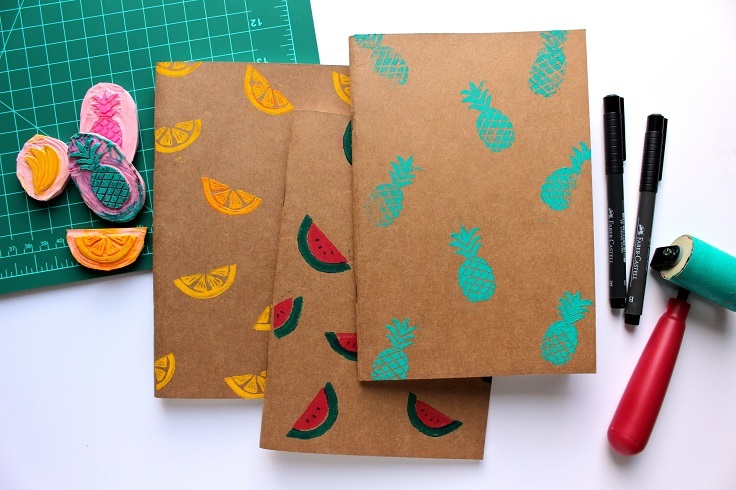 That’s why, it this article we are showing you ten gorgeous notebooks that you can do it yourself. You can include your children into the making, so it means that not only you’re going to get them nice notebooks, but you will have some quality family time together! You’ll be surprised at how good a dull textbook can actually look! All you need to have for this transformation is a notebook, a Mod Podge or similar products and a foam brush to apply it all over the notebook, a pretty paper to stick it down as your notebook decoration, cute washi tape to stick it on the upper corner of the notebook and a sharpie to write down the subject on the washi tape. It’s all about getting creative, there’s nothing difficult in this project! How awesome is this notebook? 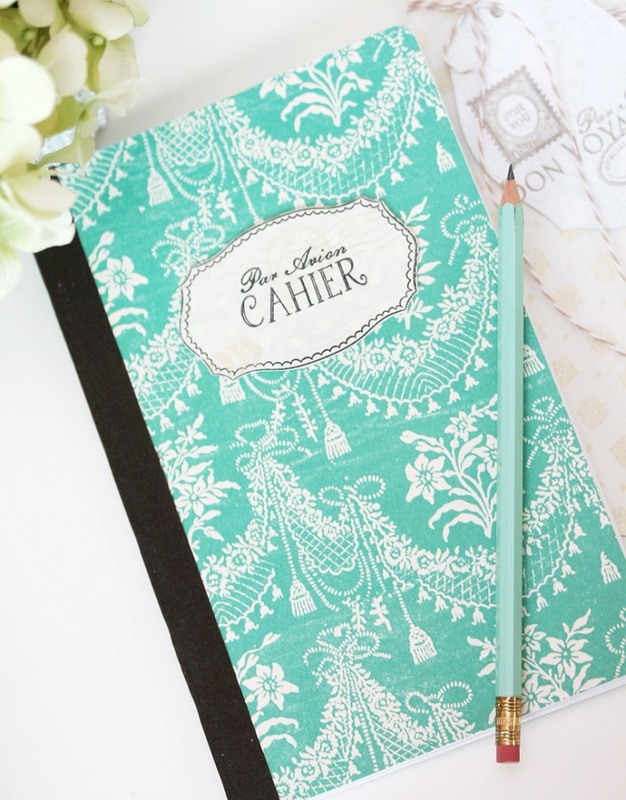 It’s like a chalkboard being transformed into a notebook, with whatever you want to write on it! You need composition book(s), chalkboard paint, foam paintbrush, white duct tape and chalk marker or regular chalk. You’ll need to put a kraft paper between the cover and the pages and apply few coats of the chalkboard paint both on the front and back cover, with leaving time between each coat, so that it can dry well. When that part is done, write down whatever you like with the chalk marker or regular chalk. If you want to, you can place duct tape around the spine of the notebook. Here’s something for the artsy mind. Maybe this will be the perfect notebook for history of art? Here’s what you need: large plastic container, nail polish, clear contact paper, x-acto knife and plain notebooks. You will need to pay attention to the water where you’re going to add the nail polish to get the marble look – make sure it’s at room temperature because otherwise the nail polish will harden too quickly! When you’ll get the desired effect, place the contact paper just a slightly under the water, remove it and let it dry. Unstick the contact paper and apply it on the notebook. We’re living the comics era – there are so many people loving the Marvel vs DC world, and children are no exception to this. If your kid loves the comics and the characters, then making a notebook with this is going to make everyone really happy! 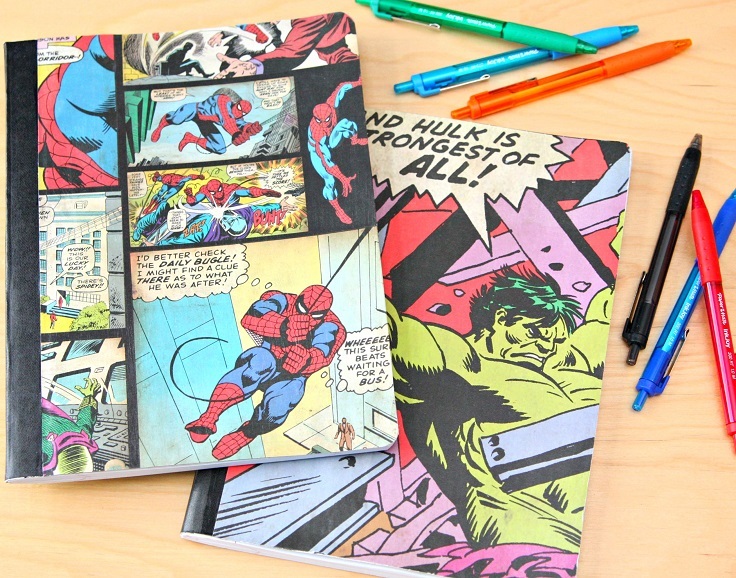 Here’s what you need for a superhero notebook: composition books, scrapbook paper, mod podge, paint brush and scissors. It’s super easy – just cut enough scrapbook superhero paper to cover the whole notebook, apply mod podge all over the notebook and adhere the superhero paper. 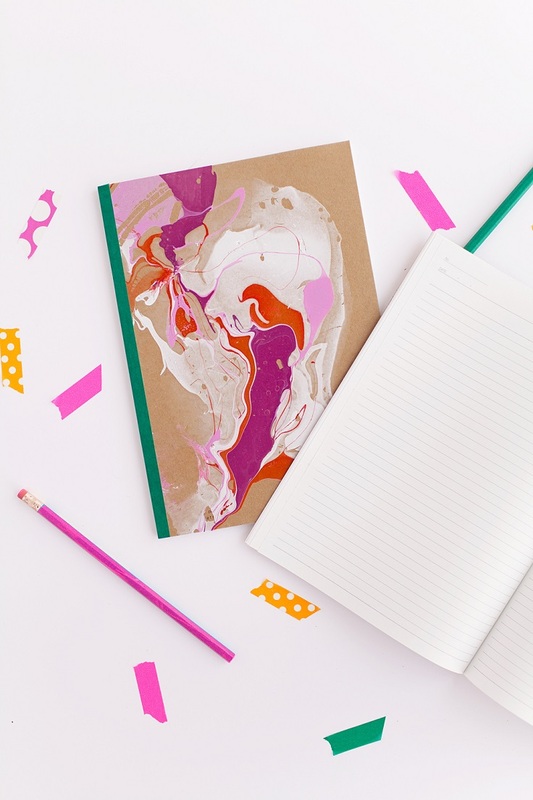 Here’s an artsy notebook that every kid would love to write inside it! If only it had a key and a chain, they would use it as a journal too. You need almost the same tools and materials as the previous notebooks, but for the best results, check out the website below the picture where you can see a video tutorial. It will be really helpful, especially if you’re new at all the DIY stuff. There’s no way your kids will say “no” to such a cool pineapple! That makes one really cool notebook as well. So, it’s better if you have the needed embroidery skills. 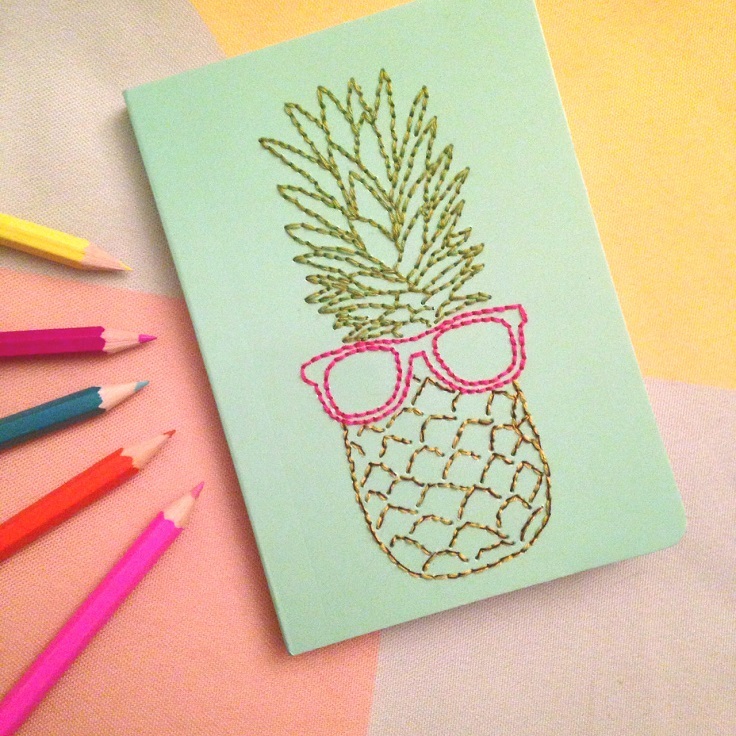 Besides that, here are the following tools and materials that you need: notebooks, a design by your choice (you see how cool the pineapple is, but on the website you can see a feather and a cute dog embroidery too), embroidery thread, washi tape, scissors, darning needle, sewing needle and needle threader, but that’s optional. We’ve already talked that watercolors can do such a magical art out of nothing and the notebooks aren’t exception to this. You’ll need to use watercolor paper for this project by cutting it so it would fit the cover and the back of the notebook. 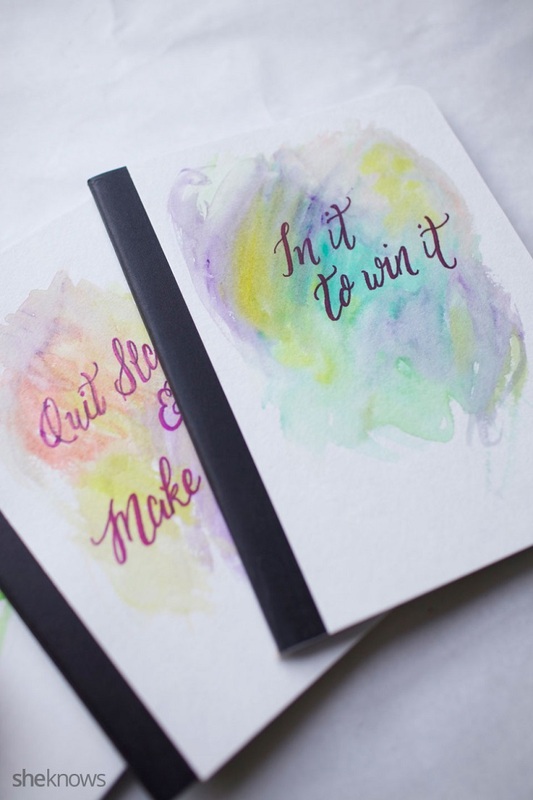 Sketch a text on a separate piece of paper and transfer it on the watercolor paper. Paint over the text with the watercolors and when it’s dry, trace over the text with sharpie or permanent pen. At the end, you’ll need glue stick and that’s it! computer paper, cardstock (you’ll need it for lining, but still is optional), spiral notebook(s), pencil, hole punch, spray adhesive, glue stick and scissors. Here’s something a little different than the rest we’ve already shown. 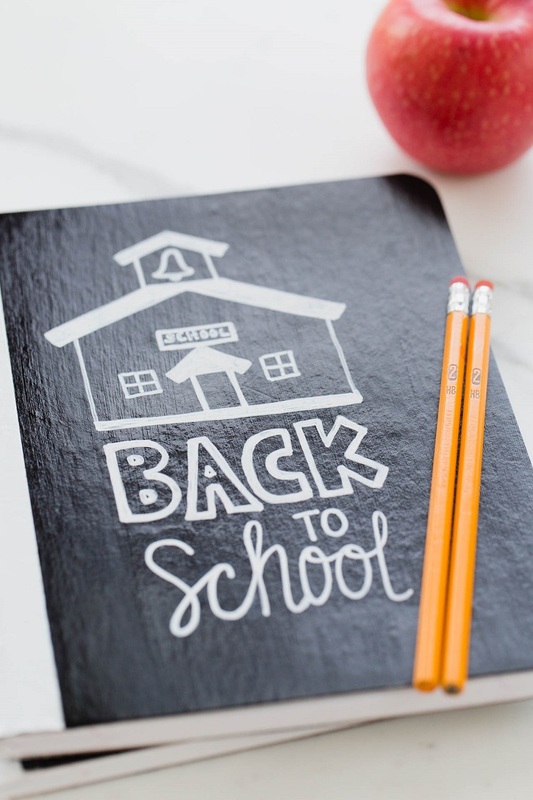 First, make sure you have these tools and materials: 2 composition notebooks of your choice, 2 folders of your choice, white paper (optional), gold washy tape (optional), scissors, glue stick and Mod Podge (or similar). 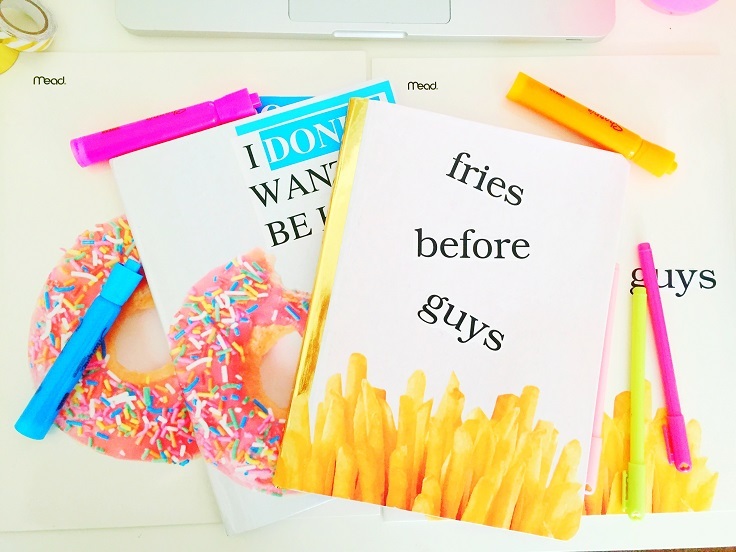 The fries and donuts, and the text as well can all be downloaded at the website below the picture. Of course, it’s up to you, if you want another text you can try making it yourself! You can do this project together with your children. Of course, the carving part isn’t safe for them, but you can let them do the fruit stamping and paint the stamps as well. This way they will feel like they did something on their own for themselves! Here are the materials that you need: linoleum block, lino carver, rubber brayer or paintbrush, acrylic paint (thick consistency) or screenprinting ink and moleskine with paper cover.